"Migrate your data to and from Google and Microsoft Outlook with this tool." Google is in the business of making things easier for its customers. That's you and I. This is seen throughout all of their latest tech developments. From driverless cars that will allow us to get more things done on the way to work, to Glass, a device that will allow us to put our cell phones down and interact more with the world in front of us, Google strives to make things easier for us. Google understands that many of its Google Apps users still enjoy using Outlook on their desktop PCs as their main email, calendar, and tasks client, but it is a pain to transfer data from one account to another, or from one application to another manually. And a great company listens to its customers. 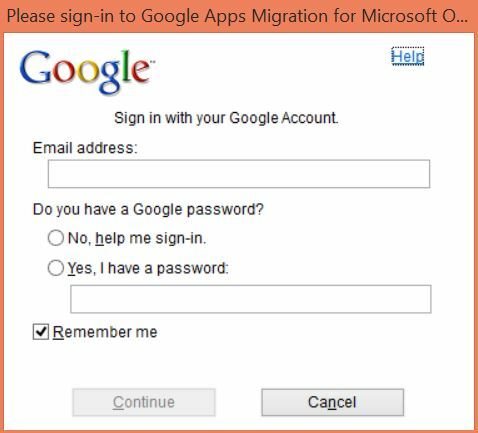 Google released Google Apps Migration for Microsoft Outlook to do away with the headache of manually transferring information. Now Google will do it automatically for you. It is as simple as downloading the program, making sure that you have Outlook installed, and enter in your Google username and password. Once you do that you're done. 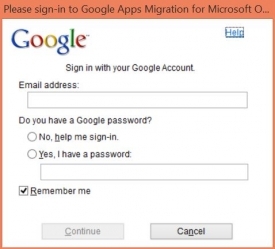 The next time you open outlook, you will see a dialog that shows Google Apps Migration for Microsoft Outlook working. This will save you time and effort. And this is not just for one time use. Once it is installed and running on your computer. Any new data that you add through outlook, will automatically be synced with your Google Apps account so that you are not missing anything once you log back in.